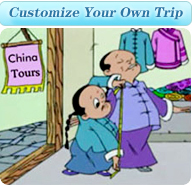 The local guide will pick you up at Beijing airport and transfer to the hotel. Visit the Tian'an Men Square, the Forbidden City and the Temple of Heaven. Enjoy the Beijing Roast Duck dinner. Visit the Badaling Great Wall in the mornig and the Bird Nest in Olympic Park and the Summer Palace in the afternoon. Morning flight to Tsetang where the altitude is 3,400 meters above sea level. check in at the hotel and acclimatize yourself to the high altitude in the afternoon. Transfer to the bank of Yarlung Zsangpo river. Then take ferry to visit the Samye Monastery. In the afternoon, visit the tomb of Tibet kings and the Yumbu Lakang. Bus to Gyangtse and visit the Yamdrok Yumtso lake and the Karola snow mountain on the way. Visit the Palkhor Monastery and the Gyangtse old street. Transfer to Shigatse. Visit the Tashilhunpo Monastery and the new palace of Panchen. Transfer to Lhasa and check in at the hotel. Visit the magnificent Potala Palace, the Sera Monastery, the Norbulika Park. Visit the Jokhang Temple, the thriving bazaar of the barkhor street. Fly Fly to chengdu and visit the Panda breeding base. Take a flight to Hong Kong and have a half-day hong kong island tour by taking peak tram to mid-level of central district then to Victoria peak. Later visit repulse bay, Aberdeen and the Stanley market.